By Ranjan Yadav in Bollywood Tags: Bollywood and Indian Freedom Fighters, The Legend Of Bhagat Singh, Mangal Pandey, Sardar, Bose The Forgotten Hero, Chittagong. The Independence of our nation deeply reminisces of those martyrs whose sacrifices bestowed us with the freedom we, today, live in. We at Rockying salute those legends and feel proud of their courage. On the eve of Independence Day, presenting a recoup of yesteryear epics dedicated to those heroic freedom fighters of our great country, India to relive the guts and glory yet again. 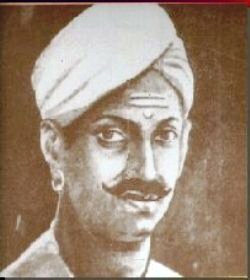 Mangal Pandey was a daring soldier whose initiatives fueled the "The First War of Indian Independence" of 1857. The principal justification behind Mangal Pandey's sudden fierceness at Barrackpore in Bengal division against British-raj is conveyed to be a new type of bullet cartridge used in the Enfield P-53 rifle that was supposed to be plugged in the Bengal Army in 1857. The cartridge was perceived to be lubricated with animal fat, mainly from pigs and cows, consumption of which is against the Muslim and Hindu religions respectively. The cartridges were required to be nibbled at one end prior to use. The Indian troop opined that this was done deliberately by the British, with the objective of tainting the Muslim and Hindu religions. This ousted the sudden wrath towards the British forces in the minds of Mangal and his aides. The attack then by Pandey to Lieutenant Baugh, and punishment faced by him, is widely viewed as the beginning of the Indian Rebellion of 1857. Mangal Pandey: The Rising starring Aamir Khan as Mangal Pandey, Rani Mukherjee as a prostitute and Amisha Patel as a woman about to die under “Sati pratha” and saved later, was ace director Ketan Mehta’s attempt to unroll real life incidences of the first freedom revolutionary of the nation. The Bharatiya Janata Party had sought a ban on the film, saying it depicts fabrication and includes character assassination of Mangal Pandey by showing him stopover at the house of a prostitute. The film was damned for presenting twisted history, use of too much music and over-publicised Aamir Khan’s hair-do. But the film opened to mixed reviews and is still considered one of the worthy period “freedom” films made in the country. In the year 1916 in India when Sardar Kishan Singh and his family, as well as son Bhagat, are upset when Sardar's brother, Ajit Singh, is detained for getting vocal in opposition to the British. He then strangely vanishes after allegedly evading from prison and is never to be heard then after. This motivates young Bhagat Singh's mind who participates the freedom fighting movement spearheaded by Chandrashekar Azad. 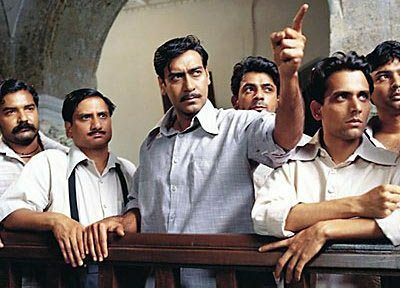 Bhagat, Chandrashekar Azad, Rajguru, Sukhdev, and Jaygopal decide to retaliate on the death of a defenseless protester against Simon Commission by killing Assistant Commissioner Saunders. They successfully kill him and run away to avoid the huge police quest drive. Bhagat is the one termed as a major infer but he then takes away his turban, shaves his beard and changes his appearance to return to the freedom movement. As time lapses, Bhagat Singh and his aide Batukeshwar Dutt detonate a bomb in the Central Assembly of the British Parliament to showcase their act of protest. Bhagat and his best friend Sukhdev along with others get arrested and put on trial while in a prison. 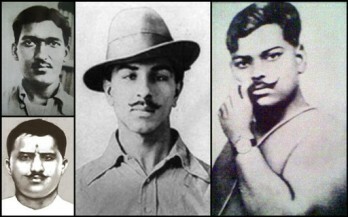 Bhagat and his fellow freedom fighters declare a hunger strike after witnessing the bad treatment of Indian prisoners leading to Yatindranath’s death. The trial culminates with Bhagat Singh, Rajguru and Sukhdev hanged to death sentences. The men chant: "Inquilab zindabad’ (Long live the Revolution)!" prior to their execution. Accepting death with a smile, the legendary freedom fighter apart from shivering the foundations’ of the British Empire also inspired millions with his daring guts of confidence. Shaheed is a 1965 Hindi film starring Manoj Kumar depicting Bhagat Singh's life. 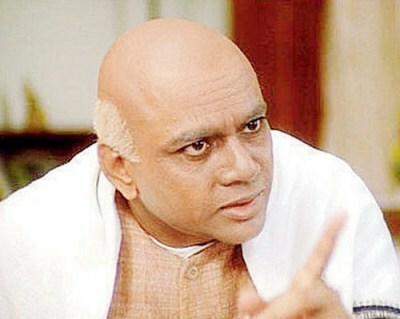 At the 13th National Film Awards, Shaheed claimed the award for Best Feature Film in Hindi, the Nargis Dutt Award for Best Feature Film on National Integration and the award for Best Screenplay for B. K. Dutt and Din Dayal Sharma. 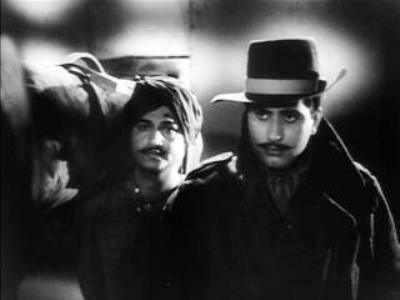 The screenplay inputs in this version of the film were in fact contributed by Bhagat Singh's close supporter Batukeshwar Dutt himself adding to the authenticity of the film. Bhagat Singh, an Indian socialist influenced by the anarchist, Marxist ideologies, was among the most influential revolutionaries of Indian independence movement and was one of the core leaders of Hindustan Socialist Republican Association (HSRA) in 1928. 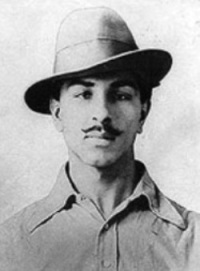 Bhagat Singh developed the freedom instincts from his Sikh family’s heroic contribution in revolutionary activities opposing the British Raj in India. Bhagat had a deep influence of Arya Samaj (Hindu reformist movement), is still an immortal idol of modern Indian youth. Bhagat Singh became popular owing to his retaliation to the death of Lala Lajpat Rai and the honor of Rai’s vindication. This amassed the positive popularity of the nation. He became a symbol of the voice of the Indian youth and soul. The popularity grew amazingly high followed by a bombing in the Central Legislative Assembly by Bhagat and his aide Dutt with the chants of ‘Inquilaab Zindabaad’. The shoot by Bhagat and Rajguru lead to the death of British Police Officer John Saunders’ for which Bhagat was convicted and got hanged at the age of 23. 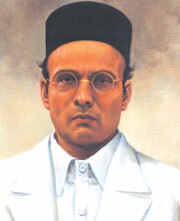 He, however, used the platform of the Court to publicize his quest for the Independence of India. The Legend of Bhagat Singh, a Rajkumar Santoshi film, starring Ajay Devgan as Bhagat Singh was released in the year 2002. The film was praised critically. The epic won two National Film Awards, the National Film Award for Best Feature Film in Hindi, and three Filmfare Awards, including the Filmfare Critics Award for Best Movie. It is one of the select bio-pics in Indian cinema that conveys a decent story-line while trying to furnish facts as they are. Bhagat’s court trial was nothing but the launch of his much-publicized revolution, which became popular with the masses, especially the younger generation, labourers, and farmers, so much so that his popularity even rivaled that of Mahatma Gandhi himself. Bhagat Singh is furious when his idol Lala Lajpat Rai is cruelly beaten to death by the police, and he decides to even the score of his death. He and his aides successively kill one of the officials responsible, but they get noticed and as a result, Bhagat and Rajguru get arrested and pushed in prison. During their court trial, they confess to the killing and convey that it was done in the name of Freedom (Aazaadi). The judge and the public prosecutor do not consider this reasonable and they are sentenced to life in prison. They attract conviction with sedition and assassination and get ruled to Immortality. This is a 2002 film directed by Guddu Dhanoa that reels the events leading up to the hanging of Indian freedom fighter Bhagat Singh and his aides Rajguru and Sukhdev on 23 March 1931. 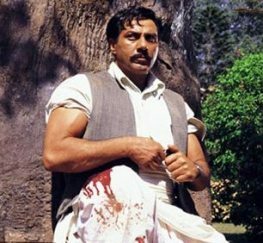 The cast of this epic saga includes Bobby Deol as Bhagat Singh, Sunny Deol as Chandrashekhar Azad and Amrita Singh as Bhagat’s mother. This film is one of the eight films based on the life and times of martyrs Bhagat Singh and his aides. The other films are namely, Shaheed (1948) with Dilip Kumar, Shaheed-E-Azaad Bhagat Singh (1954) starring Prem Adeeb, Shaheed (1965) with Manoj Kumar in the lead, Shaheed Bhagat Singh (1963) cast Shammi Kapoor in the lead, Shaheed-E-Azam (2002) having Sonu Sood in the lead, The Legend of Bhagat Singh (2002) with Ajay Devgan as Bhagat Singh, and Shaheed Bhagat Singh (2002) with Pepsi model and Hrithik look-alike, Tarun Khanna in the lead role. Notably, the kin of the late legendary martyr had served a legal notice to producers of the five films on Bhagat Singh (those aired in the year 2002) demanding their approval prior to film release and confirming an authentic depiction of the hero of Indian freedom struggle. Sardar Vallabhbhai Patel carried strong political spirit of a great man, since he steered the nation through the gravest crisis state of Indian history, the partition, and also thrived in it. Sardar Vallabhbhai Patel got involved in the freedom struggle of India after his introduction to Mahatma Gandhi which led him to begin Satyagrahas throughout Gujarat. The British government after becoming strong in the nation announced confiscation of all the lands of farmers. Sardar compelled the British government to update the rules and assembled the farmers and motivated them and it was this trait that lead to him being given the title of 'Sardar'. Another gem from director Ketan Mehta, this classic film illustrates Paresh Rawal portraying the life of India's Iron Man. Paresh Rawal pours his heart in a rare historic role. Sardar got his ruggedness harnessed with the rough times he spent in schools he went to as a boy, and the courts where he defended alleged criminals, that stimulated his mental muscles and strict appearance. It is due to Sardar and his efforts that we are today, a united nation. In the then India, there were 565 princely states in India at that time. Some of the Maharajas and Nawabs who ruled over these were sensible and patriotic. But most of them were drunk with wealth and power. They were dreaming of becoming independent rulers once the British quit India. They argued that the government of free India should treat them as equals. Some of them went to the extent of planning to send their representatives to the United Nations Organization. It was Patel who invoked the patriotism of India’s monarchs, asking them to join in the freedom of their nation and act as responsible rulers who cared about the future of their people. He persuaded the princes of 565 states of the impossibility of independence from the Indian republic, especially in the presence of growing opposition from their subjects. With great wisdom and political foresight, he consolidated the small kingdoms. The public was with him. He tackled the Nizam of Hyderabad and the Nawab of Junagarh who initially did not want to join India. 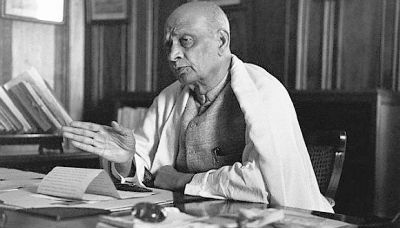 Sardar Patel’s untiring efforts towards the unity of the country brought success. Surjya Sen -- MasterDa -- decided in 1930 to tempest the British armoury in the Bengali town of Chittagong with an extremely skilled and motivated band of youngsters. The group rips the armoury, damage the telephone and telegraph offices thereby attracting the British Government attention and signalling a powerful gust for the freedom struggle. Jhunku (Subodh Roy) gets arrested and is beaten badly during questioning however he stays determined and gets sentenced to Kaala-Paani for life custody. This is a traditionally unique achievement that is illegitimately unnoticed by most national textbooks, this apart from being a cinematic feed also is an essential story we must convey. 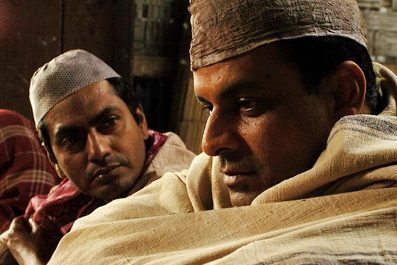 This film directed by Bedabrata Pain starring Manoj Bajpai in the role of Surya Sen is plotted upon real-life events of India's (now in Bangladesh) Chittagong Uprising. This film claimed the 60th National Film Award for the Best Debut Film of a Director. The perished with time saga of 1930s British colonial India (present day Bangladesh) is well depicted in this classic movie. It is the story of a timid 14 year old boy, the worlds’ youngest rebel leader, Jhunku (real name Subodh Roy, played by Delzad Hiwale) who is flounced up into this apparently impossible mission where he fights with his own self-doubts to attain an unlikely victory. The rage of the quit-India shouts is what is unique in Pain's inexorably stirring Chittagong. The film, at its end, has a little message from the martyr Subodh Roy himself lying sick in a hospital. Film-makers claim he died in the same hospital just two weeks after the message was recorded. Sen, who carried a burning panache for Swaraj and Independence that forever changed and awakened all of Chittagong leading to inspiring the entire nation. A group of teenagers convey their willingness to participate with Surya Sen in a mission to wipe-out the British out of the nation. Surjya solicits them and trains them in martial arts, shooting and bomb-making. MasterDa weaves the plan to shiver the British Empire by scheduling a raid on police lines Armoury, Cantonment, Telegraph office and Railway lines. Enraged British Army attacks on a calculative basis all these revolutionaries finished them one by one. MasterDa, however, initially manages to escape but other members get arrested or killed in encounters with police while some assume self-death to avoid brutal torture by police. MasterDa finally gets surrounded and caught by police troopers, gets trialled before the court and sentenced to be hanged to death. Surya Sen contentedly accepts the decision and the glorious life of revolutionary legends’, who gave up their lives’ fighting for India's independence, assumes an end. This film is a period piece directed by Ashutosh Gowariker, starring Abhishek Bachchan and Deepika Padukone in the main roles. The film represents the journey of the Chittagong Uprising, from the awakening to its result. The role of Surjya Sen or MasterDa is played by Abhishek Bachchan who is a well-known revolutionary leader of the Indian Republican Army Chittagong. The film is a book to movie adaptation of a best-seller called Do & Die by Manini Chatterjee, based on the Chittagong Uprising of 1930. In 2012 the film was followed with Chittagong, a story based on the same real life events, but with a different treatment and protagonist. 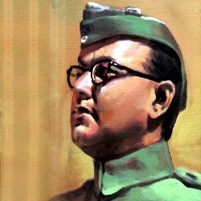 Subhash Chandra Bose was one of India's greatest freedom fighter. He was the founder of 'Azad Hind Fauj' with support from Japan. He was strongly influenced by Swami Vivekananda's life preaching’s and was known for his patriotic zeal as a student. Bose is still reminisced by his saying, “tum muje khoon do, main tumhe aazaadi dunga” (‘you give me blood, I will give you freedom’). Bose crossed the Indian border in Afghanistan to enter Russia and developed an Indian independence Army to move-out the British. His efforts went in vain, but he managed to persuade the Nazis. He recruited the Indian-born British Army POWs, who had been captured in the Battle of Singapore by the Japanese, and began the independence movement. 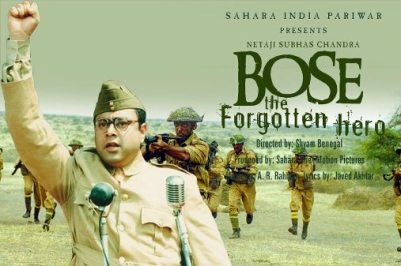 This iconic portrayal is depicted in the shining performance of Sachin Khedekar in Shyam Benegal’s (2004) Netaji Subhas Chandra Bose: The Forgotten Hero (aka Bose: The Forgotten Hero). The film begins with Netaji giving up the post of president of the Indian National Congress, then heads to Europe to meet Hitler requesting the latter’s support and his success in forming the Indian National Army comprising Indian POWs with the support of Japan. The film culminates with India gaining freedom on 15th August 1947, but the legend to which India had due so much, vanished. Bose’s posthumous Bharat Ratna Award (1992) was withdrawn due to lack of evidence of his death, which has been the subject of arguments. Although, it was announced by Japan that Netaji died in a plane crash in Taiwan on August 18, 1945, there have been three Government of India commissions to find out if Subhas Chandra Bose died in the plane crash. The third Indian commission that was chosen for enquiring into this stated in its report tabled in the Parliament in May 2006 that the news about Bose's "death" was dramatic to assist a flee to the USSR. It has been suspected that the Indian government and political leadership were attentive that Bose may have been alive and in custody in Soviet Union, but opted to overlook this concept post-Independence. Vinayak Damodar Savarkar (1883 to 1966) was a revolutionary who exhausted many years in prison in the Andamans. He advocated the philosophy of Hindutva and was associated to Mahatma Gandhi's assassination, but was not established culpable. He was born on May 28, 1883, in Bhagpur village near Nashik. The incident in 1898, when the British hanged the Chapekar brothers in Pune for killing a British officer had deeply affected Savarkar, who decided to resort to armed struggle against the British. In 1901, he at the Ferguson College in Pune, set up the Abhinav Bharat Society, which advocated a revolutionary struggle against the British. In Britain, Savarkar organised students and preached an armed struggle to throw the British out of India. He also wrote a book on the 1857 Sepoy Mutiny called India's First War of Independence, a term the Indian government consented after Independence. The book was printed in Holland and copies of it were privately smuggled into India. The book was a great success, giving Indians a strong intellect of pride, giving a fresh viewpoint on a war that was till then merely perceived as the result of discontented Indian soldiers in the service of the British. In Britain, he also created a network of like-minded individuals. Given his anti-British activities, the police soon came looking for him. He was arrested in London on March 13, 1910, and sent to India to face trial. Savarkar was termed a national hero when he moved out of the ship in which he was being taken to India from Marseilles, France, on July 8, 1910, and swam a long distance in the cold water to reach the shore. His friends who were to rescue him from Marseilles arrived late and the British recaptured him. Since Savarkar did not speak French, he was unable to tell the local policeman that he was a refugee. He was tried, and on December 24, 1910, sentenced to 50 years in prison only to be released on demand made by Vithalbhai Patel -- Vallabhbhai Patel's elder brother and backed by Gandhi and Nehru. But he still stood committed to the freedom struggle of India. Savarkar believed in a strong Hindu society and in the Hindutva ideology of one nation, one culture, one people. 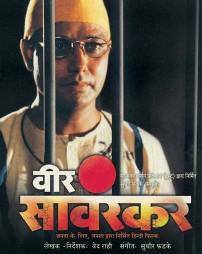 Veer Savarkar, film was directed by Ved Rahi and was released on November 16, 2001, starring Shailendra Gaur in the lead and commanding role. The film opens with Veer heading to England to become a barrister and he enrols support for his revolutionary activities in London. It also portrays Veer opposing the British raj openly and getting arrested, attempted escaping while being transferred to India and finishes with India's Independence. The film earned a silver jubilee status at Plaza cinema, Mumbai and Prabhat cinema in Pune. Veer was the first Indian to launch a bonfire of foreign (English) clothes in 1905 and the first Indian to organize a revolutionary movement for Indian Independence on a cross-border level in 1906. A rediff.com report claims that it is the first movie in the world financed by public donations. The Government of Goa gave the film a tax-free status. Chandra Shekhar Azad and his aides Ashfaqullah Khan, Bhagat Singh, Ram Prasad Bismil lead the light of the armed-freedom struggle in the 1920s. 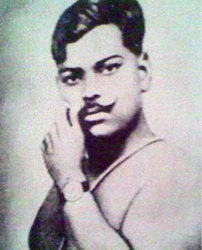 Ram Prasad Bismil who formed the HRA met Azad and executed the famous Kakori train robbery. Azad later re-organized HRA (Hindustan Republican Association) after Ashfaqullah Khan and Bismil were hanged to death by the British. Azad last lead the HRA in 1928 in their operation of killing J.P. Saunders to avenge the killing of Lala Lajpat Rai. A young British filmmaker Sue (Alice Patten) marches to India to make a film on the young radicals who impressed her grandfather, an angrezon ke zamaane ke jailor, with their tranquil even in the facade of impending death. In Delhi, Sue meets Sonia (Soha Ali Khan), who introduces her to DJ (Aamir Khan), Karan (Siddharth), Sukhi (Sharman Joshi), and Aslam (Kunal Kapoor) the cast of her dream film. This along with the saffron-tint Laxman Pandey (Atul Kulkarni), as a political activist, she anticipates her dream becoming a reality of making a self-financed documentary film on the Indian freedom legends like Bhagat Singh, Chandrasekhar Azad, Rajguru, Ram Prasad Bismil and Ashfaqullah Khan. Sue, however, bumps on to obstacles emanating from the desi youth who carry no stance for their own country on one hand and desi system of Indian bureaucracy having unchecked corruption on the other. The film mirrors the need of the hour that summons our active involvement in the way the social and political environment surrounding us is evolving, rather than acting as mere helpless spectators’. In the film there comes a moment in the lives of the characters’ similar to the phase faced by the then great freedom legends of making a choice and assuming the duty of realizing their aspirations or righteousness; this forms the focal point of the plot i.e. the moment of escaping the escapism. RDB was enthused from real life chronological events that occurred in India, amongst them were the Indian independence struggle and the controversial demise of a 29-year-old Flight Lt Abhijit Gadgil who got deceased in a MiG crash on September 17, 2001 in India along with others. The film had to go through rigorous censorship because it has scenes of a MiG-21, a much-debated aircraft in the Indian Air Force, having a history of critical mishaps in India. The Indian Defence Ministry showed anxiety leading the Indian censor board to request the filmmakers to avail permission from the ministry. Accordingly, Khan and Mehra displayed the film for the then Defence Minister Pranab Mukherjee accompanied with other top officials from the armed forces and their wives. Post special screening, the defence ministry demanded no cuts but recommended more names to be included on the slide that carried names of the deceased MiG pilots as a dedication. We hope having raised your independence syndrome by now, so move on and lose control!! With this patriotic reconnaissance, Rockying warmly wishes you a very Happy Independence Day!!! What is the real name of Chandra Shekhar 'Azad'? In December 1921, when Mahatma Gandhi launched the Non-Cooperation Movement, Chandra Shekhar, then a 15-year-old student, joined. He was arrested and when produced before a magistrate, he gave his name as "Azad" (The Free), his father's name as "Swatantrata" (Independence) and his residence as "Jail". Legend has it that while he adopted the name, he vowed the police would never capture him alive. PLAY THE COMPLETE QUIZ NOW!